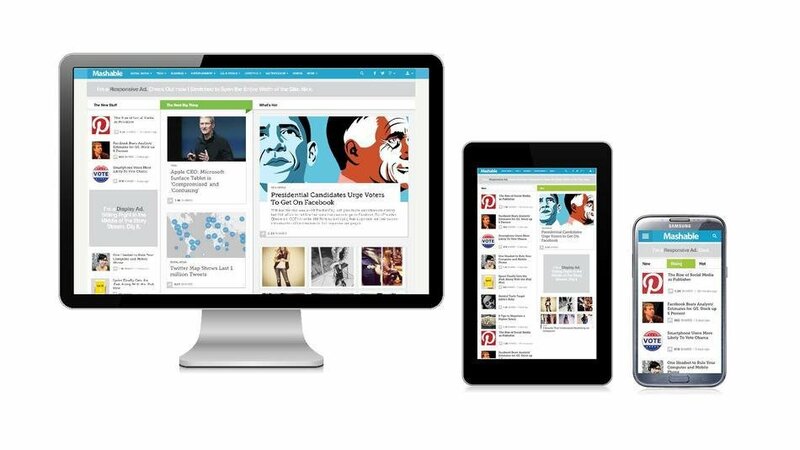 Is Responsive Design Obsession Holding WordPress Back? Responsive design is the MVP, the prom queen and the hall-of-famer all rolled into one. It is a web phenomenon that has enabled WordPress site owners to easily and cheaply extend accessibility to mobile platforms. Responsive design is so pervasive that even clients, guilty of informed ignorance, now ask for a responsive site without even knowing what that means. But have we got to a point where responsive design is causing more harm than good? Is it now stifling innovation? Is it now actually holding WordPress back? We are obsessed with responsive design. Practically every new theme for WordPress is responsive; blog posts showcasing anywhere from 20 to 250 “awesome” responsive WordPress themes appear with regular monotony; Mashable designated 2013 as the “Year of Responsive Web Design”. But this obsession is actually blinding us to the fact that responsive design, clever as it may be, is not without its issues. Responsive design assumes that the only issue is size and the challenge is to make the design “fit” on various devices forsaking all other contributors to positive user experience. Expectation is particularly important as it differs so much between desktop and tablet. On the desktop, our expectation has been shaped by (often) years of experience. It has been an sedate journey driven by the incremental developments in browsing technology. Tablets are a completely different proposition. Young and brash, interaction is as likely, if not more likely, to be performed via an app as it is through a browser. This has a significant impact on the tablet users’ expectations: they expect to see a more app like interface and gesture-based navigation. Tablet users don’t expect to get a cut-down desktop website and yet this is what responsive design and its focus on size delivers. How Can Responsive’s One-Size-Fits-All Approach Be Optimal? Responsive design generally takes one of two paths: desktop first and then remove, move components as the screen-size shrinks; mobile first and add components as the screen-size increases. Regardless of which approach is taken, effectively only one device type is being optimised and the further a device is from the starting point, the less optimised the experience simply because it is constrained by that starting point. Beyond that, though, what if publishers actually want to deliver an entirely different product to tablet users using the same content? The one-size-fits-all severely limits that option. This is the impact responsive is having on innovation. Is Responsive Killing Innovation In WordPress Themes? New WordPress themes are launched on an almost daily basis but CSS3-driven design may be gorgeous but is not innovation. We all appreciate that themes take time, money and resources to develop but the myopic focus on responsive design and the assumption that a design has to work across all devices is both constraining and homogenising theme design. Whilst publishers make the rush to digital magazines, where are the eye-popping H5Mag-type themes to enable true digital magazine publishing using WordPress? Where’s my app experience wrapped up in a theme? Where’s WordPress at the forefront of online publishing? Why Be Reactive When It’s Easy To Be Proactive? My biggest issue with responsive design is that it is a reactive client-side approach which, in the context of a server-side content management system like WordPress, seems completely unnecessary. Granted, device detection is not the same as design breakpoints but would a slight shift in how to respond be that significant? Arguably, the proactive adaptation should be taking place at a higher level still. WordPress already has device detection and theme swapping capability so rather than adapting an individual theme it would be straight-forward to deliver a theme that is optimised for the device making the request. Perhaps theme developers could even offer “theme packs” with separate configurable themes for various platforms. No, of course not. Responsive design is a hugely useful technique but it needs to be used in context. This is not a proactive versus reactive, adaptive versus responsive argument. The best solution uses both. An adaptive solution would ensure that the theme is as close to optimal as possible but would include responsive elements to enhance the experience. For example, I love the fact that when I view the English Premier League table on the BBC website on my iPhone I get the summary version when in portrait mode and a detailed version in landscape mode. That makes sense to me. The server sends me a mobile version of the site (adaptive) with extra data that is highly likely to be viewed (responsive). That’s combining approaches to enhance my user experience. That’s appropriate, contextual responsive design. It is crass to say that responsive web design has not been beneficial. The very fact that it has enabled many site owners to make their sites accessible on tablets and smartphones for minimal effort may almost, in itself, justify the hype. But responsive design’s dominance is becoming detrimental. It’s throttling innovation and driving complacency amongst WordPress theme developers and many WordPress site owners. It is short-changing the users of those WordPress sites by denying them the continued evolution of their user experience. Short-changed users usually end up going elsewhere. And site owners, publishers, will follow. So, let’s take a deep breath, turn down the hype about responsive design and bring some perspective back to WordPress theme development. Let’s blend responsive design with other approaches; let’s really exploit those niches; let’s produce a WordPress ecosystem that provides an optimal experience for visitors and optimal opportunity for WordPress site owners. Let’s stop responsive design from holding WordPress back. What do you think? Is responsive too pervasive and throttling innovation? Or is it essential for making cross-device accessibility affordable for WordPress site owners?